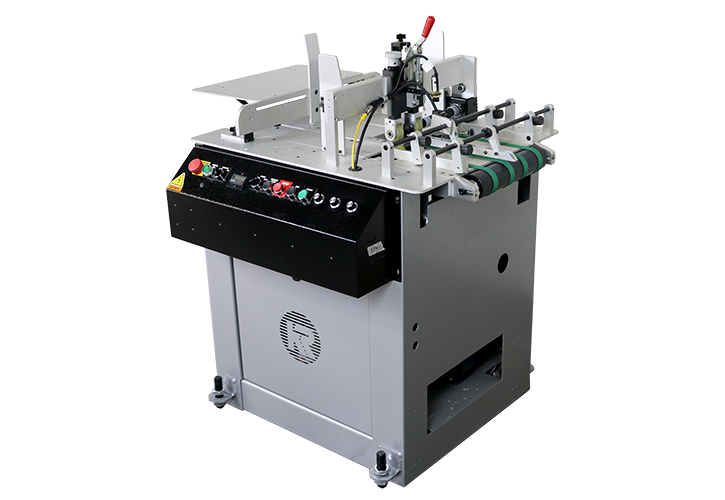 The KR224DM Shuttle Feeder is a stand alone feed system capable of handling a wide variety of media from single sheets and envelopes to books and magazines. 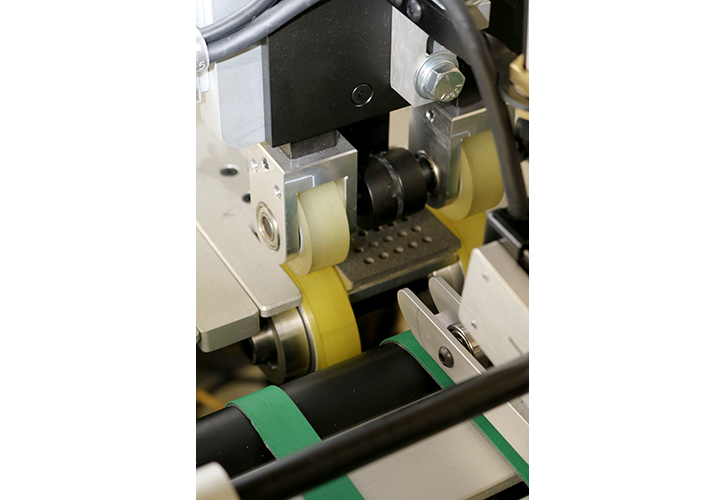 Product size range is 3″ wide by 5″ long up to 17″ wide by 14″ long although optional configurations expanding the range are available. 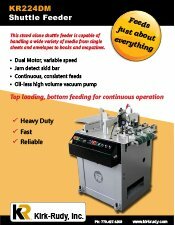 Like all shuttle feeders, the KR224DM runs continuous because its hopper is loaded from the top and feeds from the bottom. 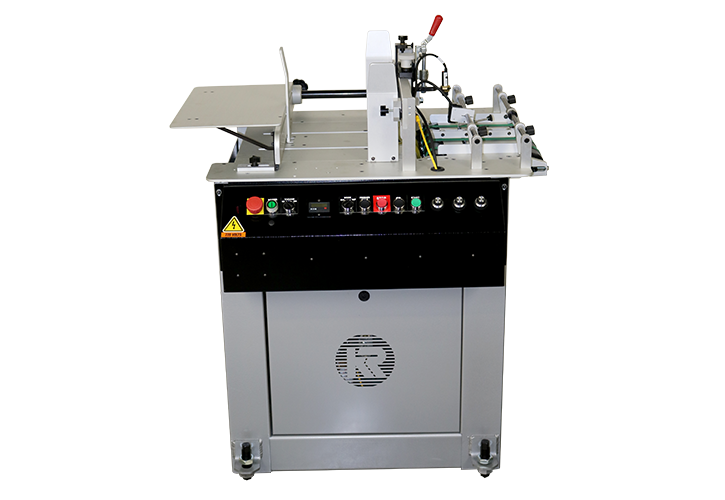 Equipped with two DC variable speed motors, vacuum pump, semi-automatic lubrication system and roller cabinet, the KR224DM is equipped to work with most inline addressing systems.